Bigrock.in is one of India's leading provider of web-presence solutions to individuals, professionals and small businesses. They provide a complete suite of products which help their customers to establish and grow online presence. BigRock offers 24/7 world-class service over phone, live chat and email. 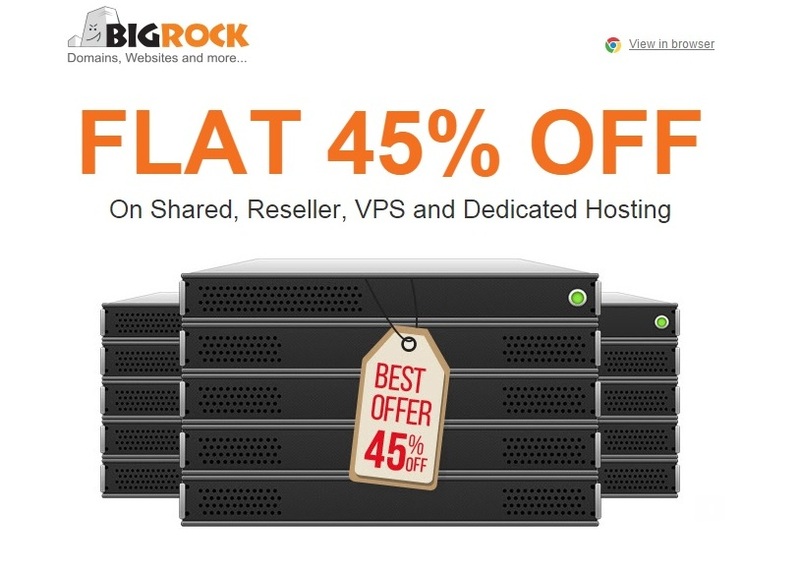 BigRock.in provides flat 45% off on shared, reseller, VPS and dedicated hosting. To avail the offer, use the coupon code BIGSEPTSALE. 1. BigRock's specific terms and conditions are applicable. 2. Offer is valid only on September 29 and September 30, 2015. 3. Offer is valid on shared, reseller, VPS and dedicated hosting for upto 1 year of purchase.